I have to hand it to George Frideric Handel. His oratorio produced in April of 1742 still stands today as one of the finest pieces of orchestral and vocal performance. 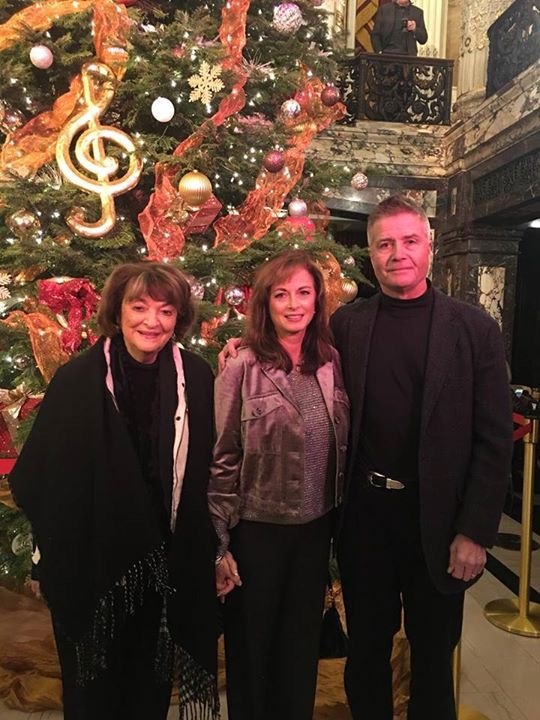 On my way out of the beautifully decorated Heinz Hall in Pittsburgh the other night, Janet asked me how I knew every word and the accompanying solo artist performance? Aside from the fact that “Messiah” is all based on scripture and reveals the salvation message of the Bible, the music is powerful and the choral work is so inspiring it brings people like me to tears. 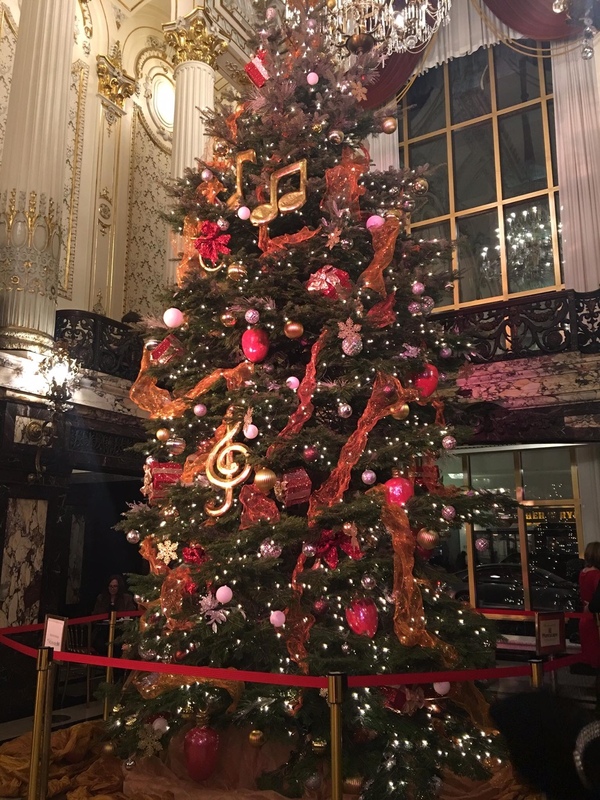 The Pittsburgh Symphony and the Mendelssohn Choir bring this masterpiece to life and I always take the opportunity to take it in during the holidays when I can. The reason I know it well, is that at Christmas time, I play it often in my vehicle. On my way to the mountains to ski, I listen to this verse and imagine the power of that day. In my meager effort to imitate the tenor part here, I sing it in my car much to the delight of passing truck drivers and toll booth operators. They laugh and think I am rocking out to something on the radio. Little do they know. Listening to this, and seeing the mountains around me in the car, it is almost like I am transported to a place higher than where I am. I take this in silence in the vehicle. Contemplative and the counter tenor part is inspiring. Aside from thinking about Linus and Lucy in a Charlie Brown Christmas here, the soprano part definitely stirs the Christmas soul in all of us. This is a signature performance for the soprano in the oratorio and in Heinz Hall the other night, Rachel Gilmore was spectacular. I crank this up in the car when I listen on the road, because I really appreciate the talent of a trained soprano. I hear this and think how crazy the world has gotten. 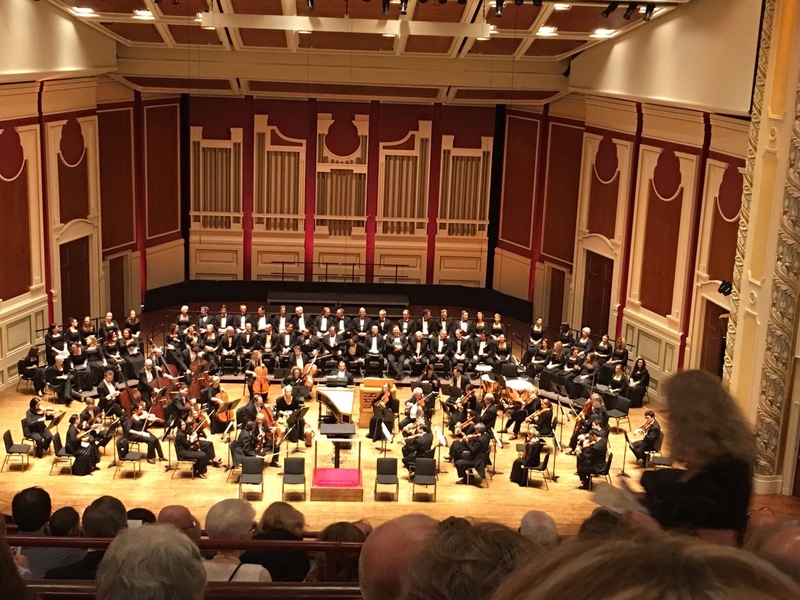 Some of the things that have happened in the news- natural disasters, violence, division among us, it makes you think when you hear a chorus like the Mendelssohn sing this verse in a venue like Heinz Hall. Not only does the music stir you, but the words make you think about the message of Christmas. We need some help here folks. Then comes the ultimate moment when tradition has all of us stand when the orchestra and the chorus sing the Hallelujah Chorus. One year I took my wife Janet to see the performance and it was a sing a long. All the local choirs came and sang each part with the Mendelssohn. When the Hallelujah Chorus was sung, all of Heinz Hall was singing and I almost jumped out of my seat. I sang the tenor part and was part of a powerful group of people singing their hearts out with one of the world’s finest symphony orchestras and an equally talented Mendelssohn Choir. We have a little history here in that my wife’s grandmother sang in the Mendelssohn years ago and when my mother in law went with us this year, she told the tales of the practices and performances in days gone past. Driving, or listening in Heinz Hall, I think of all who have gone before us. This beautiful message sung by the tenor and the counter tenor, makes me smile and think that they are happy and enjoying the best Christmas of their lives in the company of a celestial chorus of angels. What a vision. Heinz Hall comes alive for one last chorus of the Great Amen and everyone is up and reveling in the magnificence of the Pittsburgh Symphony, the brass,the violins,the cellos,the resounding kettle drums, and the combined voices of the chorus that shake the walls. To a sentimental Christmas guy like me, memories come alive of Christmas in the past, and great treasures of Christmas present. I hold my wife’s hand as we listen to the last verse from Revelations 5:9. I love it. I cannot wait to take it in again. If you get the chance, take in “Messiah.” One of the truly great musical and visual performances you will ever see. Merry Christmas. Thanks for reading. This entry was posted in American Culture, Christianity, Faith, Inspiration, Music and tagged George Frederic Handel, Heinz Hall, Mendelssohn Choir, Pittsburgh Symphony Orchestra. Wonderfully written Patrick! Thank you and Merry Christmas! And to you and yours Jim. Regards to Billy. Wow wonderful show that I missed! I also when skiing think of the Gods beautiful creation and gifts. Well said. Thanks, Merry Christmas.